The League of Chicago Theatres celebrates more than 35 years of making half-price tickets available to theatre patrons. Hot Tix offers half-price tickets to more than 200 Chicago area theatres, featuring a wide variety of theatre productions for the current week as well as future performances. All tickets, including advanced performance dates, are half-price through Hot Tix. The current list of half-price performances is online at HotTix.org and is easily searchable by date, show, theatre, or genre. Hot Tix has three convenient downtown walk-up locations and half-price tickets are also available online at HotTix.org. 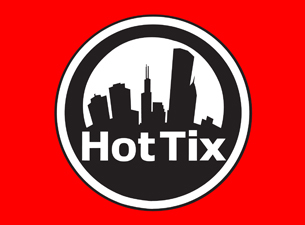 Hot Tix is a non-profit service of the League of Chicago Theatres, an alliance of theatres which leverages its collective strength to promote, support, and advocate for Chicago’s theatre industry locally, nationally, and internationally. Hot Tix sends emails with hot picks available for half-price throughout the week. Subscribe to the Hot Tix email list at http://hottixsignup.gr8.com or on the Hot Tix website: HotTix.org. In addition to half-price tickets to more than 200 Chicago theatres, full price tickets to Ticketmaster events and Play Money gift certificates are also available at the walk-up Hot Tix locations. Chicago theatre is the leader in the U.S. with more than 250 theatres throughout Chicagoland, comprising a rich and varied community ranging from storefront, non-union theatres to the most renowned resident theatres in the country, including 5 that have been honored with Regional Tony Awards, and the largest touring Broadway organization in the nation. Chicago’s theatres serve 5 million audience members annually and have a combined budget of more than $250 million. 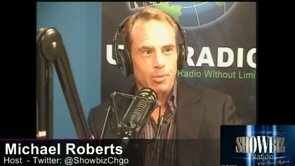 For more information about Hot Tix, visit www.hottix.org.